Stop N Stor Storage is proud to partner with The Savannah Bananas as they enter their 3rd season in 2018. The defending champions of the Coastal Plain League went up to bat against the Macon Bacon on May 31st in their season opening game. The stands were packed with an enthusiastic crowd ready to go bananas for baseball with an opening night record breaking attendance 4,3411 people in attendance! It was the 33rd straight sell-out for The Savannah Bananas at Historic Grayson stadium. The Banana Band, Parking Penguins and of course the 2018 Bananas baseball players were there to greet attendees as they entered the doors of Historic Grayson Stadium. 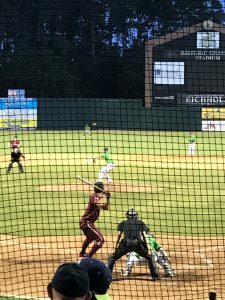 It was an exciting game against the Macon Bacon and The Savannah Bananas excited the crowd with their enthusiastic and engaging entertainment. Everything from presenting the season’s first Baby Bananas to Darius, the dancing first base coach was in true Savannah Banana fun. The addition of Tyler Gray, the Director of Fun for The Savannah Bananas, will present new and interactive entertainment for the 2018 season. The Savannah Bananas slipped in their first home game losing to the Macon Bacon with a final score of 10-6, but were quick to come back when they played in Macon two days later. The Bananas took home a win against the Macon Bacon with an astounding shutout score of 15-0! As a 2018 partner with The Savannah Bananas, Stop N Stor is excited to get involved with the Savannah, Pooler, Wilmington Island, Thunderbolt and Georgetown communities as well as those traveling from Effingham, Chatham, Bryan, Beaufort and Liberty County areas. As a part of our sponsorship we decided to thank our valued customers with several chances to win tickets to games throughout the season. Customers and members of the Savannah and surrounding communities can enter to win these tickets through our Instagram and Facebook pages as well as through our entry form on our website. We just completed our first giveaway of 10 tickets to 3 lucky winners who are ready to Go Bananas this Friday night! This sponsorship will also allow us the opportunity to showcase our brand to thousands of members of these communities and interact with the enthusiastic crowd at each game. This Friday we will be setting up a tent outside Grayson Stadium to welcome baseball fans and showcase some of what Stop N Stor has to offer in non-climate and climate-controlled self-storage. 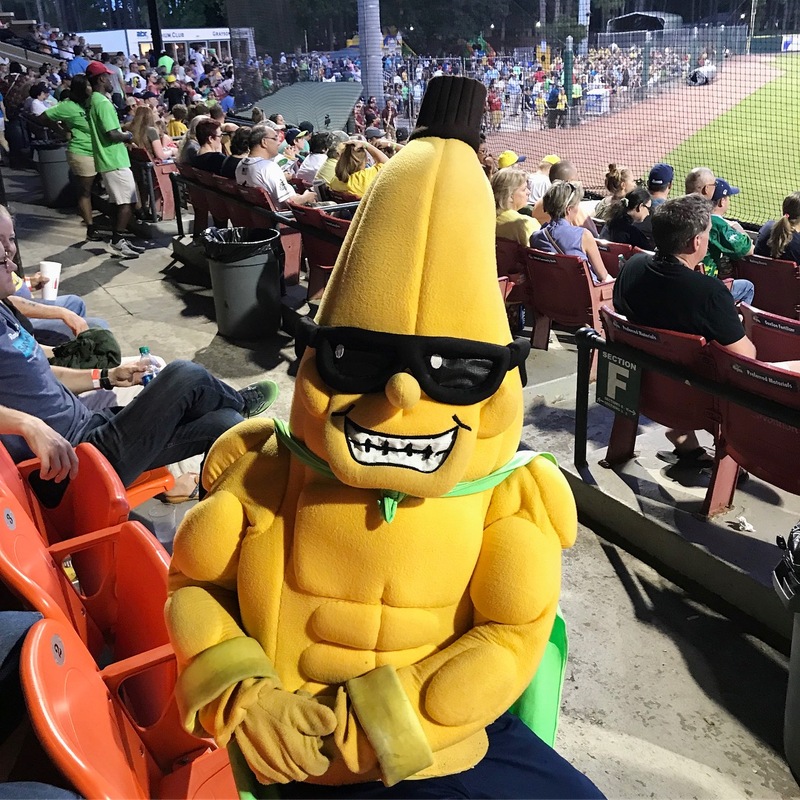 The Bananas will take on the Lexington County Blowfish this Friday June 9th at 7:05 pm so be sure to stop by and see us! We’ve got a lot planned for this year’s season and are excited to Go Bananas with The Savannah Bananas this summer! Stay tuned for more information on our sponsorship with The Savannah Bananas including ticket giveaways, events at Grayson Stadium, Savannah Bananas games, and more! Am I Storing Artwork or Photographs? If you’re storing any artwork or photographs climate-controlled storage is essential to avoid damage to these irreplaceable items. 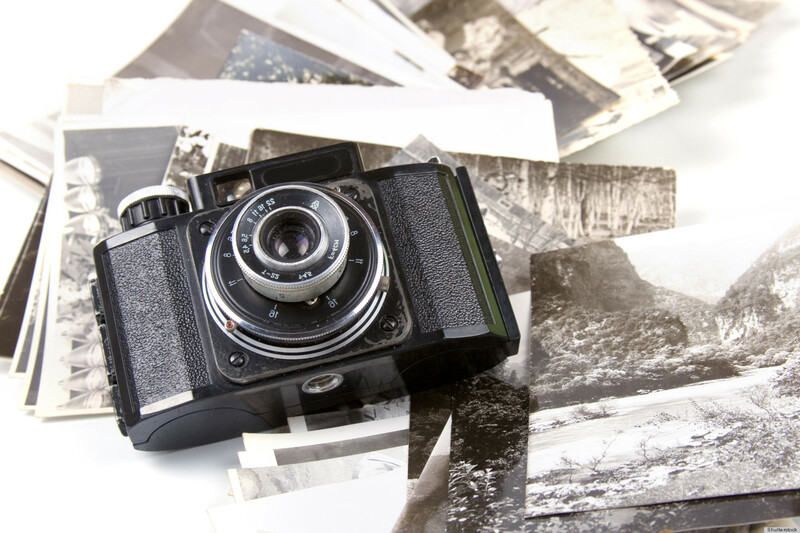 The high temperatures and humidity of the low country can cause photographs to blend together or deteriorate over time, permanently damaging your priceless memories. The heat and humidity have the same effect on paintings, prints and other works of art. Keeping these items in a climate-controlled storage unit ensures that your portraits and memories will stand the test of time (and heat). Am I Storing Books, Paperwork or Documents? Storing paperwork, books or business files in a non-climate-controlled unit can lead to moisture damage from humidity causing paper to warp. 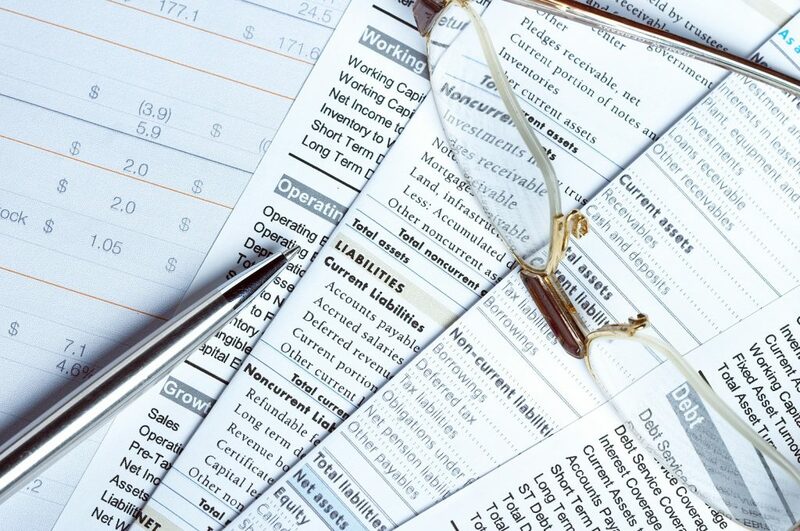 Important papers such as tax forms, financial documents and other business documents can take up valuable space in your office. To maximize space in your office or place of business while ensuring these documents maintain their condition, we recommend storing in a climate-controlled storage unit. Probably one of the most important things to store in a climate-controlled environment are your electronics. Televisions, sound equipment, computers and monitors should all be placed in climate-controlled storage. Not only are these items costly to replace, but they are extremely vulnerable in drastic temperature changes. Long-term storage in high humidity can cause electronics to accumulate moisture which ultimately damages them both inside and out. Is my Furniture Wooden or Leather? When exposed to high heat and humidity, wooden and leather furniture like bed frames, nightstands, entertainment centers, tables, couches and chairs can warp, crack or even rot. Climate-controlled storage is essential when storing living room, bedroom and dining room sets along with other wooden or leather furniture. For extra protection, furniture covers are also recommended. Are my Items Antiques or Collectibles? If you’re storing something that is irreplaceable or of extreme value, you should always consider climate-controlled storage first. 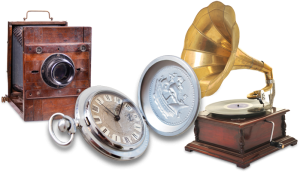 Antiques and collectibles may lose their value and may not retain quality if they aren’t stored properly. 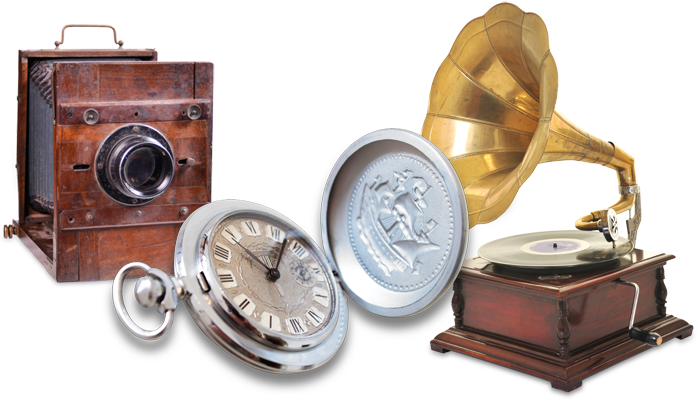 In order to preserve collectibles and antiques and maintain their best condition, we recommend storing in a climate-controlled unit and if possible with a protective cover. Climate-controlled storage has benefits for almost all your self-stored items. Although it is more necessary in certain cases than others, extra protection for your items is always a great idea. To find a climate-controlled unit near you, visit one of our ten locations in Hinesville, Savannah, Pooler, Port Wentworth, and Richmond Hill, Georgia as well as our newest location in Bluffton, South Carolina. For information on pricing, locations, or to learn more about climate-controlled storage in the South Georgia and South Carolina areas click here or give one of our highly trained managers a call at 844-913-STOR (7876). 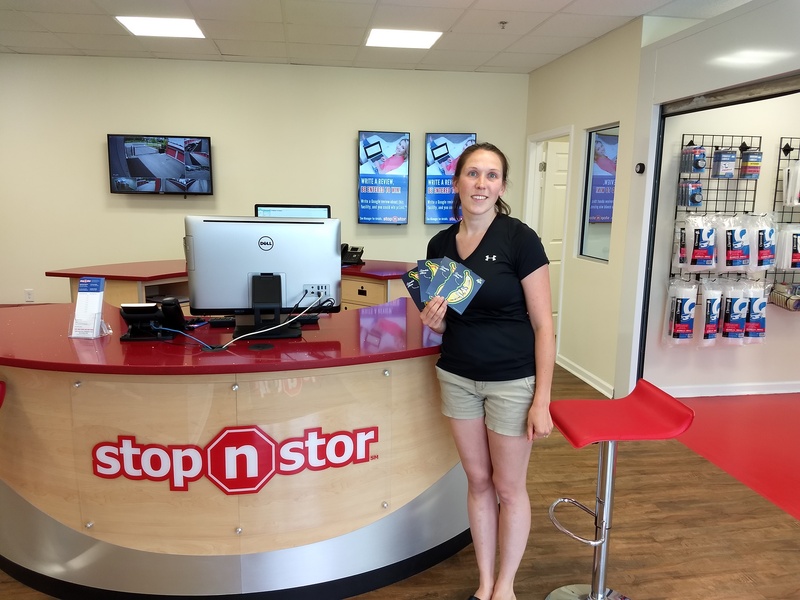 Stop N Stor appreciates our many customers! To show our appreciation, we are giving 3 people the chance to win 2 or 4 tickets to the sold out Savannah Bananas July 19th vs Florence Redwolves! Follow Stop N Stor on Instagram here. *Entry forms are required to be eligible to win. Please view official rules here. 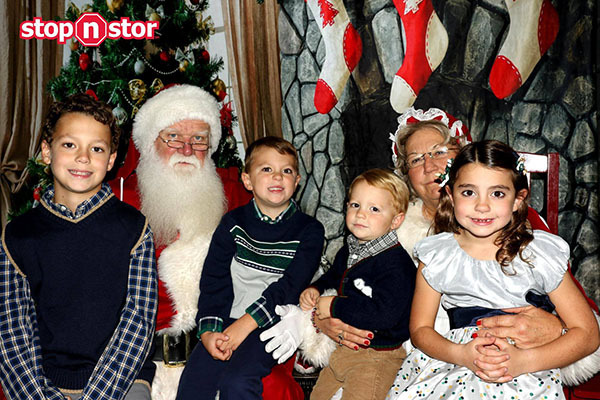 On Friday December 8th, Stop N Stor invited members of the community to celebrate the season at their newest location in Richmond Hill. A 10×10 climate controlled storage unit was transformed into Santa’s workshop. 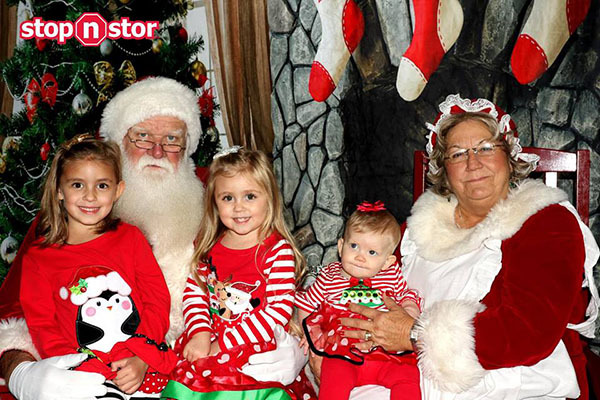 The scene was complete with a lit Christmas tree, wrapped presents, cookies and Santa and Mrs. Claus waiting by the fireplace in rocking chairs. 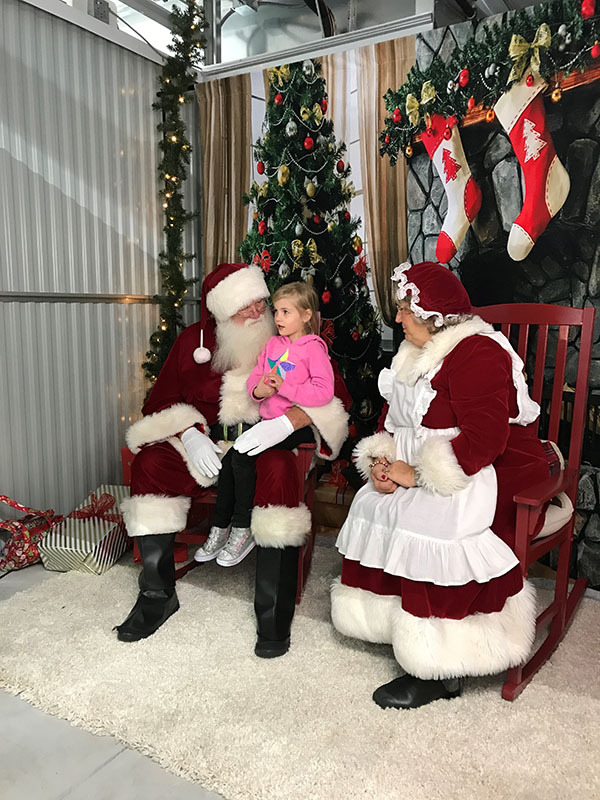 Over 50 families came from Richmond Hill, Buckhead, Sterling Lakes, Keller and the surrounding areas to meet and take pictures with Santa and Mrs. Claus. Guests received a complimentary print of their picture and were also entered to win one of three $100 Toys R Us gift cards. We also embraced the season of giving at this event by accepting nonperishable food donations for the United Way of Bryan County. Several food donations were brought in and we were able to provide food for several families in need this holiday season. We were extremely grateful to be able to help members of our local community in Bryan County. It was truly a joy for the staff to see all the children’s smiling faces and interact with families throughout the community. Thank you to the United Way of Bryan County, Dollface Photo Booth and of course everyone who came out to support this event. We look forward to continuing this event in years to come. Stay tuned for more events hosted by Stop N Stor. We hope you have a happy holiday season! IS CLIMATE CONTROLLED STORAGE RIGHT FOR YOU? A self-storage unit can be useful for anyone who is moving, renovating, or just needs additional space at home or in their place of business. However, it’s not as simple as renting a storage unit and moving everything into a unit. The outside elements play a key part in choosing how to store your items. A climate controlled unit is kept at a temperature between 55 and 85 degrees. In general, climate controlled storage is advantageous for storing valuable or environmentally-sensitive items. Stop N Stor’s climate controlled units are all indoor, which gives us the ability to maintain temperature and humidity levels to better protect your belongings from damage in long term storage. Not all stored items require climate control, but it can be essential for others. Is climate controlled storage right for you? Here are a few factors to consider: where, what, how? Where are you storing your items? If you are storing your items in an area that experiences extreme heat, cold, or humidity, you should consider climate controlled storage. Extreme heat can be tough on items like records, CD’s, DVDS, photos, causing them to warp overtime. It can also damage wooden furniture, causing it to expand and crack. In addition, extreme humidity is an important factor to consider as it creates moisture that can cause mold, mildew, and bacteria. Fortunately, Stop N Stor’s climate controlled storage units combat those issues by maintaining a clean, dry environment. 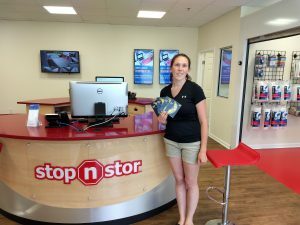 Stop N Stor has climate controlled facilities in Hinesville, Savannah, Port Wentworth, and Pooler for your convenience. What kind of items are you storing? When considering climate controlled storage, it is important to think about what you are storing and how long you plan on storing. There are several items that you should consider for climate controlled storage. Wooden furniture is easily warped or cracked in extreme heat. Electronic and mechanical parts, such as TV’s and computers, should also be stored in climate controlled storage to prevent permanent damage. Special collection items are meant to be preserved for the long term, and using a climate controlled unit will help prevent damage caused by outside elements. Artwork and photographs are two other significant belongings that can easily deteriorate in extreme temperatures. Pharmaceutical samples and supplies necessitate climate control. Climate controlled storage is truly beneficial for most storage ventures; if you are uncertain how to best protect your items, Stop N Stor can help you decide what kind of storage is right for you. How long will you be storing these items? Not everyone needs climate control. If you are between homes and planning to store your items temporarily, traditional non climate storage may be the best solution. If you are storing items long term, or your belongings have a high sentimental value, you should consider climate controlled storage. Some belongings are expensive and some irreplaceable; let Stop N Stor protect your items from the hazards of extreme heat, cold, and humidity, by choosing one of our climate controlled units. Whether you are storing contents from a large home, an apartment, or a small closet, we have the unit size for you! Not sure what size unit to choose? Visit our online size guide or drop by one of our convenient locations in Hinesville, Savannah, Port Wentworth, or Pooler and one of our friendly on-site managers can help you decide what kind of self-storage unit is right for you! There are many decisions and preparations that need to be made when deciding to move across town, to a different state or across the country. One of the major decisions that you need to make when you are moving is if you are going to hire a professional movers or if you will do the move on your own by renting a moving truck and volunteering friends and family to help. When choosing a moving company, you need to follow certain steps to fully prepare for the move. In some circumstances, professional movers will help pack boxes and prepare furniture as well as pack everything in to the moving truck. 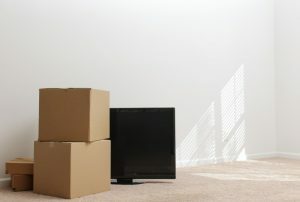 Unless you have experience as a mover, there are questions that you need to consider when packing a moving truck such as: How can you make sure that all of the items that you need to move will fit into the moving truck? How can the items in the truck be protected during the move? If you are renting a moving truck to move items into a storage unit, the same truck packing concerns will apply. Stop N Stor has a variety of storage units in climate and non-climate in sizes from 5×5 to 10×30. If you are moving the contents of the entire home, a 10×30 storage unit is the best storage solution. When renting a moving van, truck, or trailer there are ways to make the rental experience easier. If you reserve the moving truck online via U-Haul, verify the pick-up and return destination. Before driving the moving truck off of the lot, visually inspect the vehicle for broken lights, leaks or other damages. In order to save time and money when renting a truck, have everything that you are moving ready to go the day of the truck rental. If you plan ahead for your moving day, you can save money on gas, mileage, & time. 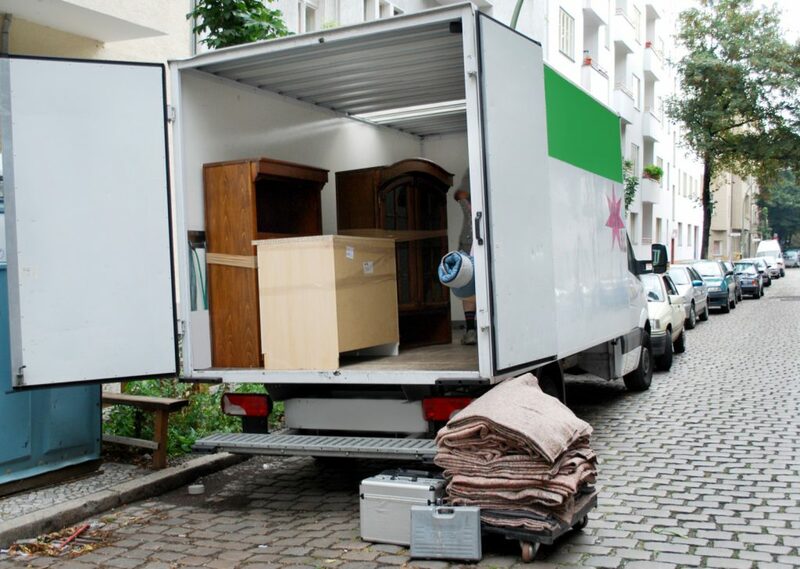 Make sure that you rent the correct size of the moving truck or van that you need for your belongings. If you only have a few items, then you will not need a large moving truck. The key is to plan ahead thinking of what you need to move as well as being creative and concise in packing the moving truck. Following the eight tips below will help you to utilize every needed space in the truck and protect your belongings during transit. Compile moving and packing supplies, such as boxes, a moving dolly, furniture padding and tarps to cover your items, packing tape and straps to keep your items in place on the truck. Do not overload the truck’s weight limit as this could cause a drag to the truck, which results in using more gasoline. The weight of the items loading onto the truck should be evenly distributed on both sides. Load kitchen appliances and washer and dryers into the truck first. Place these at the back of the truck against the wall closest to the cab. Keep these appliances upright and covered by a tarp. When loading furniture onto a moving truck, place items such as mattresses, box springs, headboards, couches and table tops upright against the longest wall of the truck. Then, cover them with mattress and furniture pads. Dissemble bed frames and tables and place them near the table tops or mattresses. Secure the items to each other or to the truck with bungee cords or rope. After the furniture and larger items are put in the truck, then start loading in the packed boxes. Boxes can be placed on top of the appliances, but make sure that they are secure. Fill in the empty areas towards the back of the truck with boxes first and then move forward. Put the heavier boxes on the bottom of the stack of boxes and the lighter boxes should be on top. Stack the boxes to the ceiling of the truck with keeping like-sized boxes stacked together. Fill in leftover spaces with items that can be used as buffers such as bags of clothing, linens, bedding or pillows. Load the most fragile items, such as plants, unboxed lamps and electronics last on the truck. The last boxes on the truck will be the first ones that you need in your new home. These “open first” boxes should contain items that you would need right away in your new destination such as paper towels, bathroom needs, garbage bags and tools to reassemble your furniture. 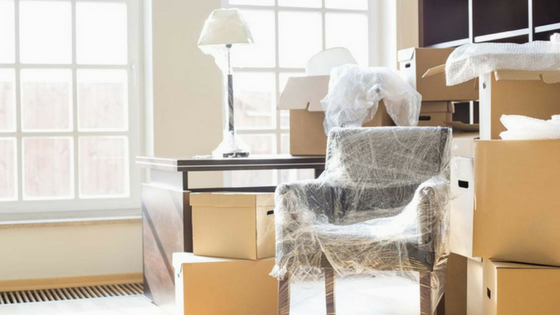 By following simple moving and packing tips, you can fit everything that you need to in your moving truck and make the moving experience much easier. There will always be surprise set-backs on moving day, but if you know that you have planned as much ahead that you can then, you will be much happier. Nothing compares taking the time to relax and escape to different worlds and times by opening a good hardbound book. Even with the popularity of e-books, people still continue to have large cook-book, children’s books or other collections in their homes. Books are great to have, enjoy and read, but they do take up a lot of space. There is always a need for a good book storage solution. There are many great home book storage solutions. Depending on the amount of storage space in a home, people can store books in home libraries, while others have to be a bit more creative in how they store their book collections. Books can be stored in wicker decorative baskets that can be put on shelving units, under tables and in corners. For smaller houses and apartments, use ottomans, stools and chairs that have removable lids for book storage or store “up” using every wall space for additional book storage. Also, book shelves make great space dividers for smaller studio apartment or open living or dining rooms. The larger the collection of books, the harder it is to keep organized. Organizing a book collection can vary based on your style. Books can be placed on a book shelve based on author, genre or even the color of the cover. Most home organizers recommend separating fiction and non-fiction and then do separate categorization from there. Special or limited edition books can be very expensive and hard to replace. Special care needs to be given to these types of books. Store rare books in custom sleeves for added protection. 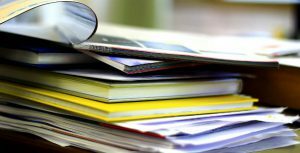 The ideal place to store books is an area in the home that is well-ventilated and not subject to big temperature changes. Do not store books in a spot with high humidity. Books should be stored upright so you can read the spine correctly. Books are designed to be stored this way and can be supported by other books to keep them stable. Do not store books with the binding or spine pointing up, this will crack the binding, ruining the book. 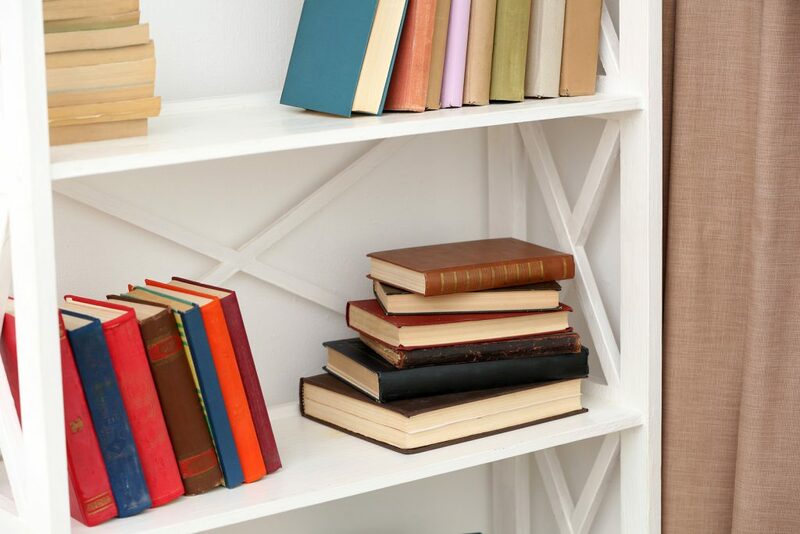 Dusting books on a regular basis will help keep books clean over the long-term. Keep storage boxes out of direct sunlight and away from radiators and heating vents. Pack books in small or medium size boxes or plastic containers that are weatherproof and moisture-proof. For rare or limited edition books, take special care when placing them in storage. Wrap each book in a paper towel or cloth to protect the surface from dirt or residue buildup. Never wrap books in plastic bags, plastic wrap or foil. Store similar size books together, lying flat in the box. Do not stand the books in the box with their spines as this can damage the spines over time. Put heaviest books at the bottom of the container and go to lighter books, such as paperbacks at the top of the box. Make sure the boxes are packed tightly and use filler material to finish filling the box. Seal the boxes with packing tape. Label the boxes with a list of the contents. If possible, place boxes of books on shelving in the storage unit. Stop N Stor has a variety of climate controlled and non-climate controlled storage units from 5×5 to 10×30 that are perfect for storing everything from a comic book collections to a cookbook collection. 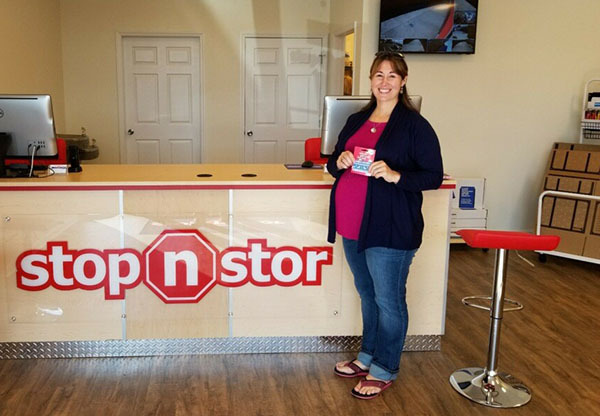 Stop by any of our six locations in Hinesville, Port Wentworth or Savannah to see how our storage professionals can help you with any of your residential or household storage needs. Self storage is a great storage solution for many types of businesses from retail to construction to restaurants. A self storage unit can be used to store retail inventory overstock, office equipment and business documents. But, where do the construction companies, contractors, plumbers and electricians, store their tools and equipment? They store it at a self storage facility! Contractors, plumbers and electricians usually work out of their vans, trucks or their homes, most do not have “brick and mortar” locations or buildings to store their equipment. The cost of renting a storage unit is much lower than paying for rent and utilities for a storefront or a warehouse. Using a self storage unit for plumbing and electrical tools and equipment storage helps contractors keep their overhead low and their budget in-check. Storing plumbing equipment at a self storage facility is a cost-effective solution for plumbing and electrical contractors to easily keep their tools, equipment and piping all in one place and allow their vans or trucks to be less cluttered. Electricians are tradesman who design, install, maintain and troubleshoot electrical wiring systems in homes, commercial buildings and large pieces of industrial equipment. Electricians can install new electrical systems, repair power outages for homes and businesses as well as troubleshoot and repair electrical issues. Electricians use a variety of tools during the course of the day including wires, tape, power drills and saws, and smaller tools such as pliers, screwdrivers and wire strippers. They also will have a supply of lighting fixtures, fuses and other electrical needs. A self storage unit is a convenient place for electricians to store their electrical tools and equipment. Plumbers are trained to do a variety of jobs including installing or fixing home heating systems or hot water tanks, fitting bathrooms and kitchens and making emergency calls for issues that could arise. 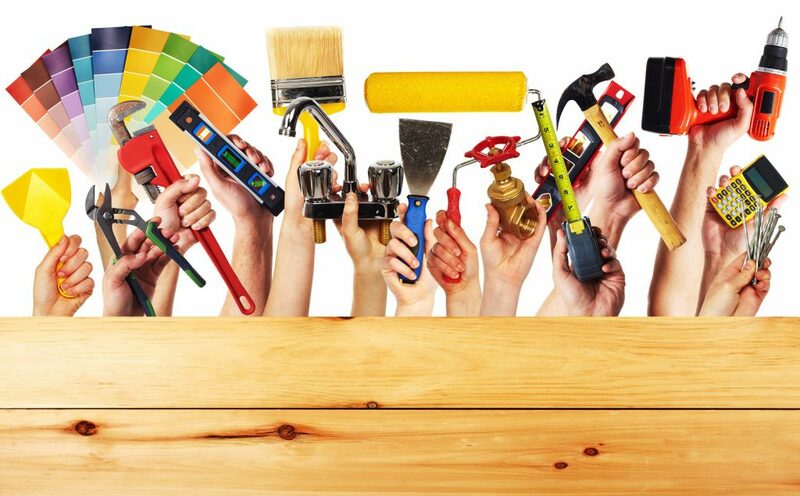 Plumbers have to use a variety of tools in their day-to-day repairing or installing projects. They have to have pipes, Teflon tape, plungers and augers of all types on-hand at all times for their work. Because of the increase in the cost of building and plumbing supplies, plumbers purchase building materials in bulk to keep their overall costs down. Having a place store these items, such as a self storage unit, is a great and low cost storage solution. Most self storage facilities have 24/7 computerized gate access hours allowing contractors, electricians and plumbers to access their tools before they need to be on the job site. Self storage facilities have drive-up storage units, which allows for easy access for contractors to load and unload their equipment. Safety and security measures such as well-lit facilities, video surveillance and keypad entry gates give tradespeople peace-of-mind that their equipment will be safe while in storage. 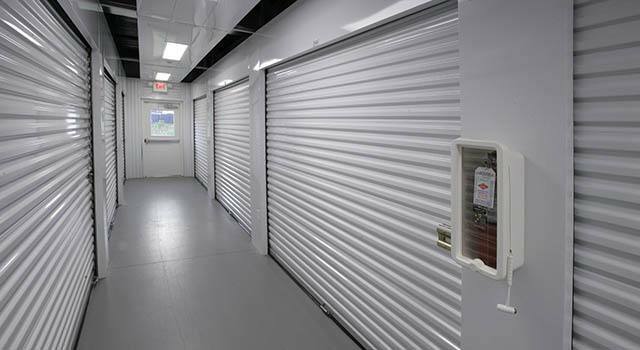 Self storage units come in a variety of sizes in both climate and non-climate controlled giving the contractor a range of storage solutions. Stop N Stor makes it easy for contractors, electricians, and plumbers to store their equipment with our construction storage solutions. Stop by our six Hinesville, Port Wentworth and Savannah locations to see how we can help with your plumbing and electrician contracting storage needs.